Avro is a 14-storey, 180-unit residential building sitting prominently just north of Sheppard Ave. and Allen Rd. 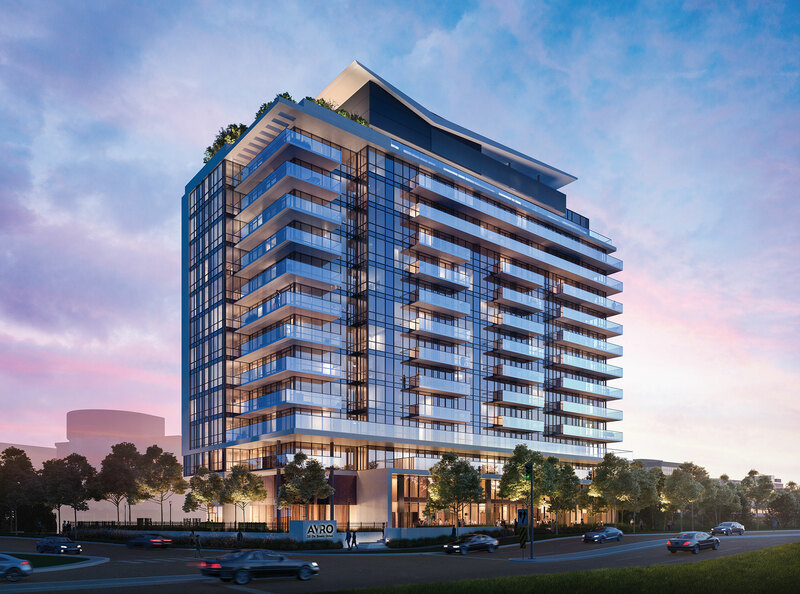 Noted for its sleek contemporary design and eye-catching rooftop expression, Avro offers sophisticated living complete with landscaped entry terraces. While the lobby is double-height and full of light, the top of the building is capped off with a “wing-shaped” roof that pays homage to Avro heritage. The structure itself is made up of high-efficiency glazing, white pre-cast concrete, and decorative metal features at the lower levels to frame entrances, canopies and fencing. Avro is a beautiful space for anyone who lives here, adding traditional aspects of architecture to honour the past, whilst creating a modern experience for the future. As you enter the Avro lobby, you’re embraced with the sleek modernity of the space. 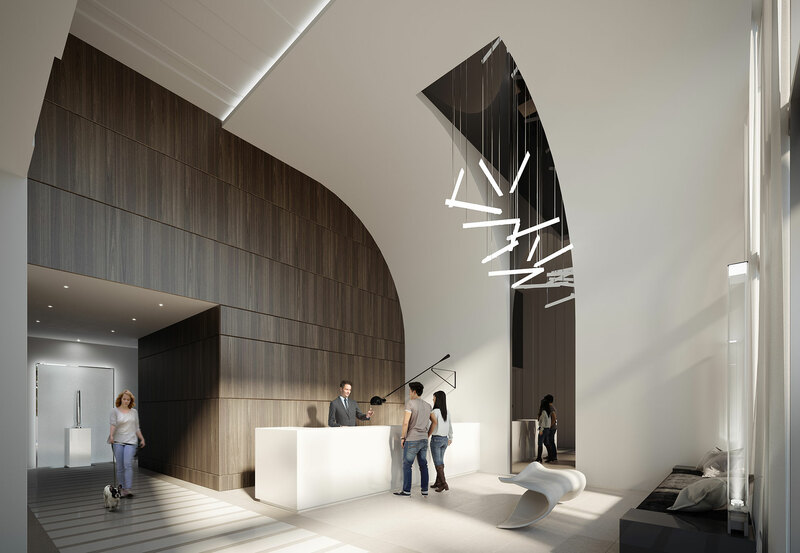 The curved structure of the double-height entrance cascades down to meet the concierge desk, as an inspired light sculpture dangles delicately over the seating area. The furniture is contemporary, yet soft welcoming you to take a seat and enjoy the light spilling in through the large and lofty windows. Here is where you can slow your speed and take a moment for yourself.